If you’re reading this article, chances are high that you are looking into divorcing in Nevada. People too often end up with a messy financial life because of a divorce, but it doesn’t have to be that way. With some planning and patience, you can come out of it with your bank account in relatively decent shape. Employ the services of a mediator (this can be your divorce attorney) to mediate issues of property, debts, and children, then file a joint petition divorce. Agree on all the terms between yourselves and without a mediator, and file a joint petition divorce. You disagree on many of the terms and one of you files a one-signature divorce (complaint for divorce). Number 1 is the best solution to divorce affordably and fairly. It’s a terrific option if you are uncertain about what is fair for your situation, or if you have been in a longer-term marriage and your property and debts are completely linked together (or you live in a community property state like Nevada). Number 2 is the most economical and least acrimonious way to go about it. This is provided you feel that you can still trust your spouse with this, if not with other things, and you feel you are getting a fair settlement based on your own research. Some couples with few financial assets opt for this solution. 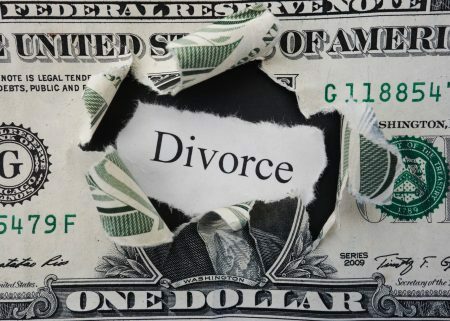 Divorce is never free, and you must share your current assets between the two of you, so your net worth will decrease, of course, but either of the above solutions will leave your wallet relatively intact. Number 3 is the kind of divorce that can shatter your finances. If it goes as far as a divorce trial, it becomes the kind of divorce that makes some lawyers richer than their clients will ever be again. In a few cases, this type of divorce is necessary when there are millions or billions at stake, but otherwise, no. If your combined net worth is $500,000 and under, it is pure folly to engage in this type of divorce unless the other side is being highly unreasonable. Going for Numbers 1 or 2 will leave a ton more money in your wallet. Because of this, mediation is our Step #1 to shelter your finances from as much damage as possible during and after a Nevada divorce. Here are seven things we recommend you look at seriously when divorcing in Nevada. Select a divorce lawyer willing to mediate. Mediated divorces are also known as collaborative divorces. If you are divorcing in Nevada, find a divorce attorney who is willing, first and foremost, to attempt to mediate your case with your spouse’s divorce lawyer. It’s best to make sure that this attorney is a certified mediator. Divorce attorneys are offered continuing education classes in mediation. Some are also certified court arbitrators which gives them even more settlement experience. Going to court instead of mediating is costly and acrimonious. Of course, if you are dealing with a highly volatile and unreasonable Defendant (your spouse), you might end up having to go to court anyway, but it’s best to start with mediation. Things might be different in other states, but in Nevada, when one party files for a divorce and the other party responds by filing an Answer and Counterclaim, the court automatically sets a date for a Case Management Conference. Guess what that is? It’s essentially a mandatory mediation. The attorneys’ jobs at that point is to try and get their clients to settle rather than having to go to trial. Before you get into any sort of negotiations with your spouse, it’s best to check your, and your spouse’s, credit, so you know what obligations are on there. Especially in a community property state like Nevada, spouses are responsible for debts incurred by either of them during the duration of the marriage. You want to know if your spouse took out a loan recently for instance. You don’t want to end up having a collection agency after you once the divorce is over because your spouse is not paying on the loan. If you were married at the time the loan was obtained, they can come after you for payment if your spouse defaults. Yes, we know how you feel about this. So, when divorcing in Nevada, avoid it by pulling your credit report. Make a list of your assets and liabilities. Make a list of any valuable assets you have around the house, like jewelry, art collections, silver, high-worth china sets, classic cars, baseball card collections, anything of high value. Discuss tax consequences of any settlement with your tax accountant. In some cases, you might be better off taking a lesser, or different, settlement if your income taxes will be affected negatively. For instance, sometimes a couple will agree on less child support (in cases where the paying party can pay more than the statutory requirement) with the lesser amount balanced by more alimony. This might be a smart move on the part of the one paying alimony, which is tax deductible, however, the one receiving the alimony will have to pay taxes on it, so it’s not very beneficial to him or her. Since child support is not taxed, but alimony is taxed as income, it’s not a wise move. Be sure to discuss any proposed alimony scheme when you are divorcing in Nevada with your divorce lawyer and your accountant. If you decide to pay more alimony at the outset in lieu of property division and you deduct it from your income taxes, it could come back to bite you later. Agreeing to a larger alimony amount for the first few years after the divorce in lieu of property division is a big no-no with the IRS. They have become wise to that, and they might audit you if you reduce the amount of alimony you pay by several thousands after the first couple of years. Though it’s not likely in most cases, the unexpected death of the spouse paying alimony and child support is possible. Therefore, it’s wise to have a life insurance policy in place with the spouse receiving these benefits as the beneficiary. It’s also a good idea to insist on a disability insurance policy in the event that again, the payer of alimony and child support becomes unable to work. When divorcing in Nevada, be sure to check to see who you have listed as “pay upon death” beneficiaries on all your bank accounts, as well as who you have listed as beneficiaries of your retirement accounts. If you have a will or a living trust, be sure to update those as well. If you don’t have a living trust, this is a really good time to set one up so that all of what is now your separate assets is distributed the way you want them to be. Do you have significant assets? If so, it is best to retain a divorce lawyer and even an accountant to discuss these issues, rather than trying to go the Do It Yourself route. If you fear that your soon-to-be ex might prove unreasonable when dealing with you one-on-one about these issues when divorcing in Nevada, ask for divorce mediation. This allows you to discuss all pertinent information with qualified professionals who know how to keep tempers down during what can often be touchy subjects.